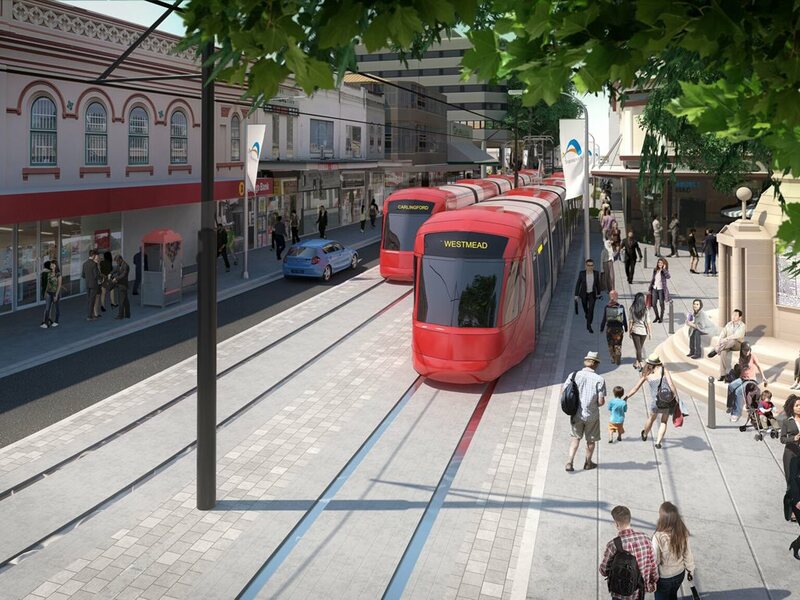 Parramatta Light Rail is now full steam ahead with the first stage of the project now receiving planning approval meaning construction will start within months. “Parramatta Light Rail will create close to 5000 jobs, connect communities along the route and transform the way that people explore all the attractions that Western Sydney has to offer, with a light rail service every 7.5 minutes in peak periods,” she says. Stage 1 of Parramatta Light Rail will link Westmead to Carlingford via Parramatta CBD and Camellia, connecting key destinations including the Westmead Precinct, the new Western Sydney Stadium, the new Powerhouse Museum and three Western Sydney University campuses as well as brand-new communities at Camellia and Telopea. The state member for Parramatta, Geoff Lee says the Parramatta Light Rail will help the Greater Parramatta Growth Area become better-connected, more accessible and liveable as the region rapidly grows. Hoever there have been challenges. According to the builder of the Spanish builder of the Light Rail system, there hve been challenges. "ALTRAC Light Rail has been upfront about challenges and delays to the project, which mainly involved protecting and relocating the utilities," says a spokesperson. "We knew this project would be complex, however now we are out of the ground in many areas and laying track in the majority of zones." "We can state that civil construction will be substantially completed by the end of the year across all zones," the spokesperson added. According to a Transport for NSW spokesperson, the “Parramatta Light Rail Stage 1 will connect Westmead to Carlingford via Parramatta CBD and Camellia, while a proposed route for Stage 2 will connect the Parramatta CBD to Ermington, Melrose Park, Wentworth Point and Sydney Olympic Park. A Final Business Case for Parramatta Light Rail Stage 2 is expected to be completed in 2018. “The CBD and South East Light Rail will provide modern, reliable and sustainable public transport that will transform services from Circular Quay and the CBD, to Kingsford and Randwick via Surry Hills, Moore Park and Kensington,” the spokesperson says. According to NSW government figures, by 2026, nearly 30,000 people are expected to use Parramatta Light Rail every day. Once completed, Parramatta Light Rail will bring major benefits to businesses, local residents, commuters and visitors, supporting the development of Parramatta as Sydney’s second CBD and providing a catalyst for further investment in the area. The spokesperson says that an Epping extension study is also being carried out by the NSW Government in line with feedback from the community to explore options for this transport corridor.